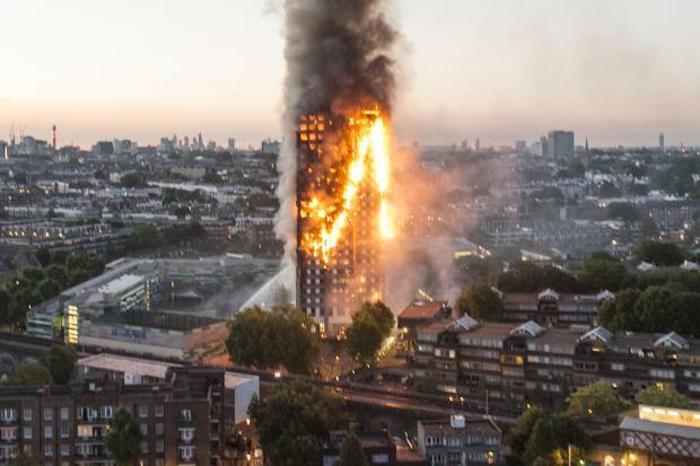 Grenfell Tower in London suffered a rapid spread of fire in 2017 that ended up killing 72 people. Because of this incident, insurance companies all over the world decided not to insure other towers that were built using the same materials. Regulators are still struggling to come up with adequate monitoring and regulation. The tower was engulfed in fire on all four sides within minutes. Experts have concluded that the cause for the fire was a malfunction on a fridge-freezer in one apartment. Bad project management, the materials and the method of construction were all to blame in this incident. The name of the aluminium composite panels is Reynobond PE 55, and Arconic made them. The company has stopped selling this product worldwide for use in tower blocks. Experts believe that there was a possibility to avoid casualties, if some elements of renovation were different, like decorative cladding panels, uPVC windows or the PIR insulation. Stephen Hockman QC, the advisor for the American company, claims that the combining combustible PIR and ACM PE without any bands of non-combustible material were to blame. The Fire Brigade claims that the Celotex insulation foam (RS5000) that was sandwiched between the front and back of the aluminium panels was more flammable than the cladding. Celotex has instructed that their product is certified for use with ventilated horizontal fire breaks, vertical non-ventilated fire breaks and 12mm fibre cement rain screen panels. Professor Anna Stec carried out an independent study and found out that there is environmental contamination in the local area. The contamination includes carcinogen levels way above the permitted amount. As part of the study, char was collected from balconies up to 100 meters away, and these samples have shown that there are polycyclic aromatic hydrocarbons (PAHs) which can cause asthma and cancer. Furthermore, samples of soils 140 meters away had other carcinogens many times greater than usual. What is important about this study is that it relates to the materials that were used in the renovation. Grenfell United residents’ group stated that the report just shows how toxic are the materials produced by Celotex, Arconic and other companies. Everything that happened sparked the start of a public enquiry. The report is making officials and residents wonder how toxic are other buildings. Unfortunately, Hotpoint FF175BP fridge-freezer, the appliance that caused the fire is still in use, and there is at least one more incident involving this appliance. Having a better sprinkler system might help, but it can’t guarantee complete protection. Since the Grenfell incident, insurance premiums covering cladding have risen 900 per cent. Insurers are careful with any tower block that might not be built according to building regulations. The insurers are also facing problems when they need to figure out the materials used for cladding since there are not enough qualified personnel for this work. A national underwriting manager working at CHU, Peter Jones said that government could help by ensuring everything is according to standards, from certification systems to regulation. He insists that governments should propose a plan to avoid the same thing happening with other materials. Managing director of a Melbourne forensic and safety company, Jonathan Barnett believes that a failure of self-regulation happened in building engineering. Barnett stated that insurance companies would be cautious when insuring buildings. They might even decide to stop insurance cover, in case there is no evidence that cladding on a building is safe. What have we learned from the Grenfell disaster? The UK has already taken precautionary steps and banned the use of ACM panels on all school and residential buildings that are above 18 meters high. Queensland has seen changes in legislation, imposing greater liability than before for all non-compliant materials. Independent review of building regulations by Dame Judith Hackitt carried out after the Grenfell incident characterised the complete UK building regulatory system as not suitable for what it should do. The review proposed many changes in the regulations. However, it didn’t recommend a ban on using these combustible materials on high rise buildings. After the incident, 173 buildings were combustion tested in Britain and 165 of them failed the test. Around 600 high-rise buildings in the UK have the same cladding. Furthermore, in cases where a building is privately owned, all government protocols for local councils to install safe cladding have failed in 90 per cent of cases. This means that tens of thousands of households are living in these buildings, fearing for their lives. There are many benefits of renovating the exterior of a building – better airtightness, increased protection from overheating, better air quality inside, reducing air conditioning and heating bills and if needed, protection from earthquakes. Disasters, like the one in Grenfell, sometimes are the only way to draw the focus of the authorities to problems in their communities. This incident has shown what can happen where cost-cutting and poor project management is involved. Now, new regulations are needed to shift to more sustainable solutions and, possibly, save lives in the future.